Happy Friday! 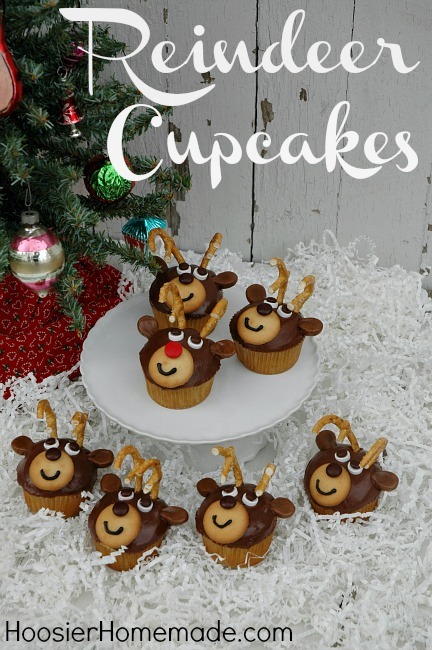 Before I leave you for a weekend of Christmas decorating, I just had to share these adorable Reindeer Cupcakes from the Cupcake Chronicles Newsletter today! UPDATE : Due to popular demand, I have added these Reindeer Cupcakes to Hoosier Homemade. Dasher…Dancer…Prancer…Vixen…Comet…Cupid…Donner…Blitzen and of course Rudolph can be found HERE. If you are a new subscriber, you will receive a confirmation email with the link and password to the Archive page. If you have any trouble, please leave me a comment, I’m happy to help! Hi! I too would LOVE the tutorial how to make those reindeer cupcakes. I am a subscriber! Many many thanks in advance! Happy Holidays! I made some similar reindeer cupcakes last year https://hoosierhomemade.com/cupcake-corner-christmas-cupcakes/ I wasn’t able to find the right kind of pretzels for the antlers so I ended up using Flipz Milk Chocolate Pretzels instead. I am a new subscriber to the site and I was hoping you could send me the recipe for the reindeer cupcakes. They are absolutely adorable. My nephew would love them! I look forward to your future postings! I to am a new subscriber and would love the recipe for the reindeer cupcakes! 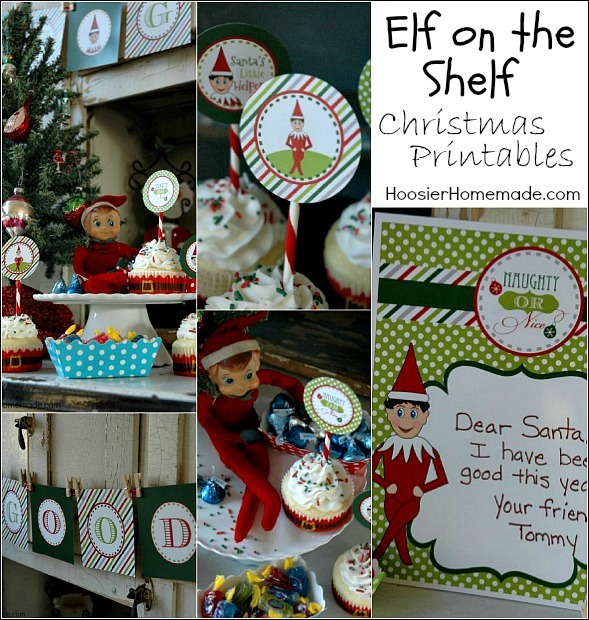 I want to make them for my son’s preschool class. I am obsessed with cupcakes and I am SO glad that I found your website!!! Thanks so much Stacey! I will forward you the newsletter with the reindeer cupcakes in it. I to am a new subscriber and would love the recipe for the reindeer cupcakes! I plan on making them for my K class. They will love them. Stumbling upon this website by accident was a great thing! I am excited to follow you now! Thanks Tiffany! I will forward you the newsletter. They are so cute! I’m looking forward to seeing all these fabulous creations! So glad I found this site. Not a problem, I sent it. Thanks for subscribing and Merry Christmas! 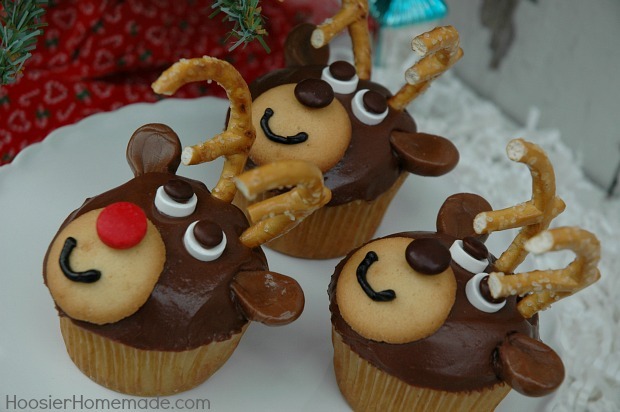 I’m a new subscriber and I would love to find this recipe for the Reindeer Cupcakes to make for my son’s grade 2 class. Hi Crystal, Thanks for subscribing, I emailed you the newsletter. I love, love, love those adorable little reindeer cupcakes. What amazing looking cupcakes! I love love love those reindeer cupcakes. What kind of candy is used for the reindeer cupcakes? They look awesome and I’d love to make them. Thanks for asking Tracy! Are you a Cupcake Chronicles subscriber? The Reindeer cupcakes were exclusive to subscribers. I’m happy to send you a copy of the newsletter if you are a new subscriber and didn’t receive it. yes i am a subscriber! I am a new subscriber and would love to have the reindeer cupcake recipe!! Sure, I’d be happy to. I will forward you the newsletter. 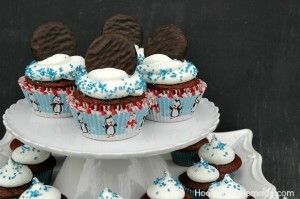 I am new subscriber and I would love to get the reindeer cupcake recipe !!! I too would love the newsletter about the instructions for the reindeer cupcakes. I did sign up today but for some reason am not able to pull archived newsletters. I have to say this site is not really too user friendly, confusing. Denise, did you receive the email with the link and password to the archive page? Simple click on the link to the archive page, enter the password and all the newsletters are on that page. When you are there, just click on the name below the photo and it will open to the newsletter. I confirmed with the email service yesterday, and the email with the link and password is going out. Could you please foward the newsletter for the Reindeer cupcakes, I love them–plan to make 41 of them for my son’s school x-mas party! Hi Linnea, I’m not seeing this email in the database. Did you use a different email? And oh how I would love a KitchenAid mixer. I actually got one for my father a few years back and my only issue was that the bowl didn’t have a very big opening. (I think they’ve gone back to wider openings since then, but it’s still a matter of contention for me.) In fact, I don’t think he gets much use out of it for that exact reason, which is a shame. Oh, man! I only just signed up for the newsletter and so I missed the reindeers. They are adorable! I was thinking that I might try them. I will definitely post a picture. Thanks for stopping by Shannon! oh man, the coating is coming off my mixer attachments and it is not quite big enough so i would give anything for that red kitchen ade. I do love the tips and have about as many as I need.